There’s a tree in my neighborhood I pass nearly every day on my afternoon dog walk. 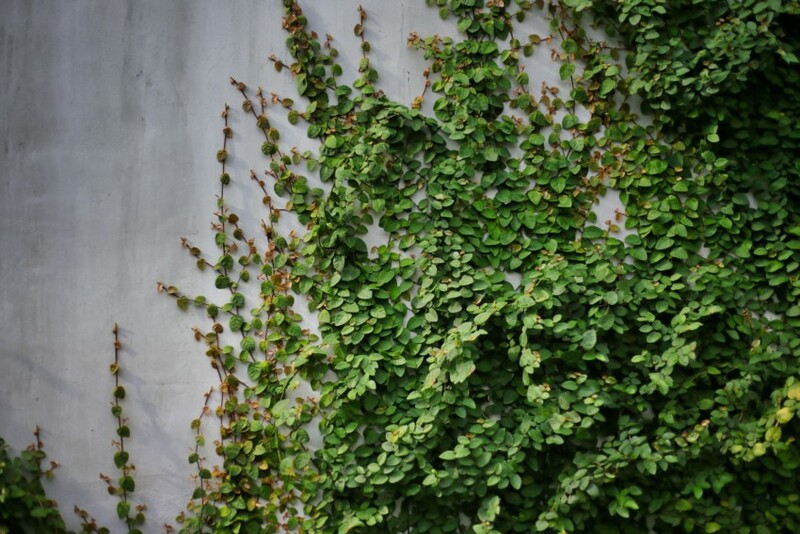 It grows a few feet from the curb, and it’s beautiful – tall and stately, lush and vibrant with dark green leaves, even at this time of year, and a smattering of tiny orange berries dotting the greenery. I’ve passed this tree hundreds of times in the last several years, but it wasn’t until recently that I saw something I’d never noticed before. The leaves and berries I’d long admired weren’t actually part of the tree itself. Rather, they were part of a large and intrusive vine which, over time, had snaked its way up the trunk and out along the tree’s limbs and branches. What at first glance looked to be a beautiful and healthy tree was, in fact, an illusion. Not only was the vine obscuring the real tree that lay underneath, it was also, apparently, slowly draining the real tree of life. I stood in the street and stared up at the pine and the vine for a long time that day as Josie impatiently tugged at the leash. I noted the tree’s brown, brittle needles beneath the vine’s green leaves. I saw the way the vine’s heavy root had embedded itself into the tree’s bark — so much so that I could hardly discern one from the other. Turns out, the pine and the vine hit awfully close to home. 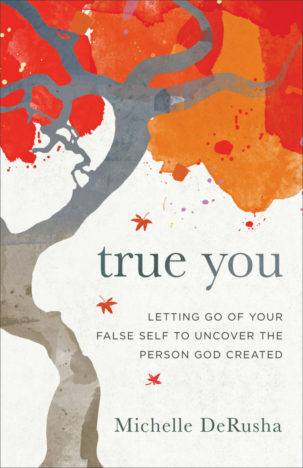 The hard, uncomfortable truth is that my identity is entwined with my vocation and profession as a published author. There is a certain prestige that goes hand-in-hand with my job. And if I am brutally honest with myself, and with you, I can admit that I like this prestige. I like the approval, admiration, recognition and respect being an author automatically earns me. And yet, I also know that what I do is not who I am. This identity of “author” is not my true identity. Being a “published author” is not my true self. It’s not the me God created when he wrote my name on the palms of his hands. Rather, as Rohr says, being a “published author” is part of my image of my false self. There is nothing inherently wrong with being an author. It’s as good a vocation as any, and believe me when I say I am grateful for the opportunities writing and publishing books has afforded me. There have been many beautiful, life-giving parts of this journey — not the least of which is how writing has helped me grow in my faith — and I appreciate every single one. But I also know that if I am honest with myself, being an author is also sometimes detrimental to my emotional and spiritual wholeness. I put a lot of stake – too much stake – in achievement, recognition and success. Over time, who I am has become wrapped up not only in what I do but also in how well I do it. Have you ever seen the way a vine grasps, unfurling to latch onto and wrap itself around whatever it can? The strength of its clutch, even in something as small and tender as a zucchini vine, is astonishing. I grasp at achievement, recognition and success, particularly achievement, recognition and success as a published author. And that is something I need to reckon with. 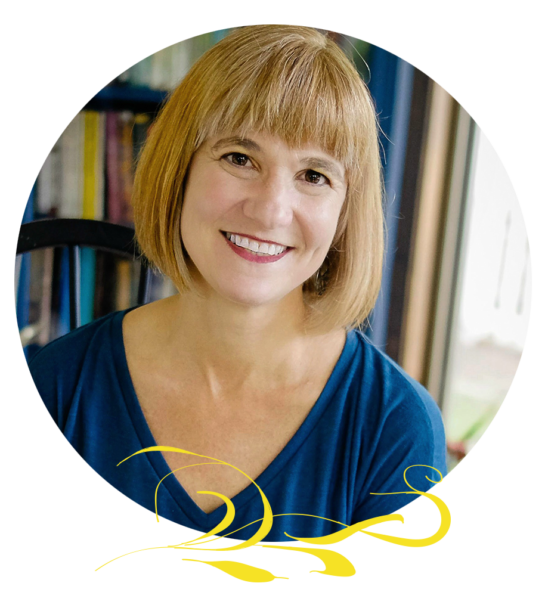 Benning defines calling as “a way of being that is both best for us and best for the world.” The question I’m asking myself these days is whether my vocation as an author is really best for me. I’m not making any radical decisions just yet. Right now it seems I am in a season of discernment. And the truth is, writing True You was the genesis of this journey toward uncovering my true self, a journey that in some ways has only unearthed more questions than answers. This question, in particular, begs to be asked: would I even be asking these questions about vocation and identity had I not written this book? On the other hand, every time I walk by that pine tree in my neighborhood, the one wound round and round with the ever-expanding vine, I can’t help but notice something that seems important, which is this: while the vine is clearly flourishing, spreading its tendrils, reaching higher and higher, clutching and grasping, the tree beneath it is slowly dying, being overcome by the invasive vine a little more each day. 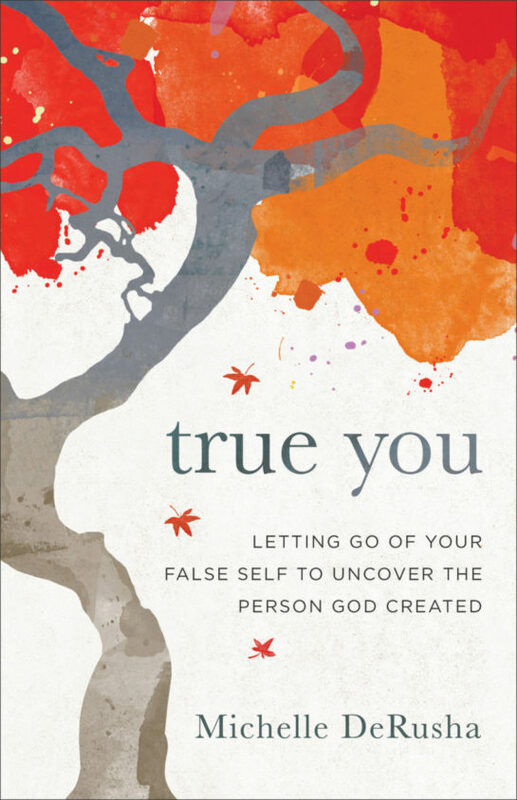 If this post resonated with you, you might be interested in my forthcoming book, True You: Letting Go of Your False Self to Uncover the Person God Created, releasing January 1. In it, I dig more deeply into the themes of vocation and identity. Great insights, Michelle. You are a person loved by God who just happens to write! I’m right there w/ you, b/c people will ask, “Who are you (or what do you do)?” I’ll say, “I am an author.” I just realized that the I am is a very faint and most imperfect reflection of the Great I AM, because I”m made in His image. But who am I? I am . . . . who? I write, yes, but it’s not who I am. 🙂 If this sounds convoluted, it’s because I’m noodling around impromptu w/ it, based on your post. Prior to becoming an author I would say, “I am the executive director of the world’s largest airport USO,” as if the fact that it did happen to be the largest was some sort of claim to worth. God took all that away and had me come home to raise Sheridan. Yes, I am her mother, and was at that time, too, but it’s not who I am. It’s not semantics- parsing, but requires deep thought. I am surely a child of God to whom He has given various skills and roles (to be used and lived out for His glory), and I believe He has given me an authentic purpose; but even were I not Sheridan’s mother or an author or a director or a singer, I would still have the same purpose. I’m not saying it well, but hopefully you get the gist. Your post is deep and thought-provoking. Can’t wait t read TY! Oh the masks we wear! Michelle, you have given us much food for thought. I am anxious to dig into your book for even more insightful thoughts. 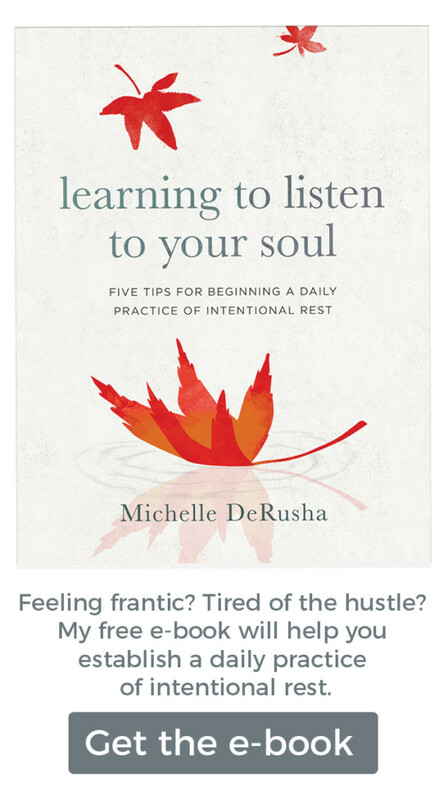 Roles, even professions, may change in life and leave us wondering who we really are… I look forward to reading my pre-ordered copy of your book, Michelle! I too am on this questioning journey of calling, vocation, and ultimately identity. Your words resonate, and give me such hope because I am not alone in this quest. Thanks for your honesty and vulnerability!